Quality Air Conditioning Company provides the “Island City” of Wilton Manors with dependable air conditioner service. Since 1971, Quality Air Conditioning has been Broward County’s most trusted source for air conditioner repair, replacement, and maintenance. The Drive in Wilton Manors is a prime spot for attracting foot traffic to your quirky gift shop, ice cream parlor, or Asian Fusion bistro. But when your air conditioner is out of order, potential patrons might decide to take a hike to one of the many other nearby establishments. Quality Air Conditioning Company will respond quickly to your call for air conditioner repair, so you can get back to business and keep that cash register ringing. 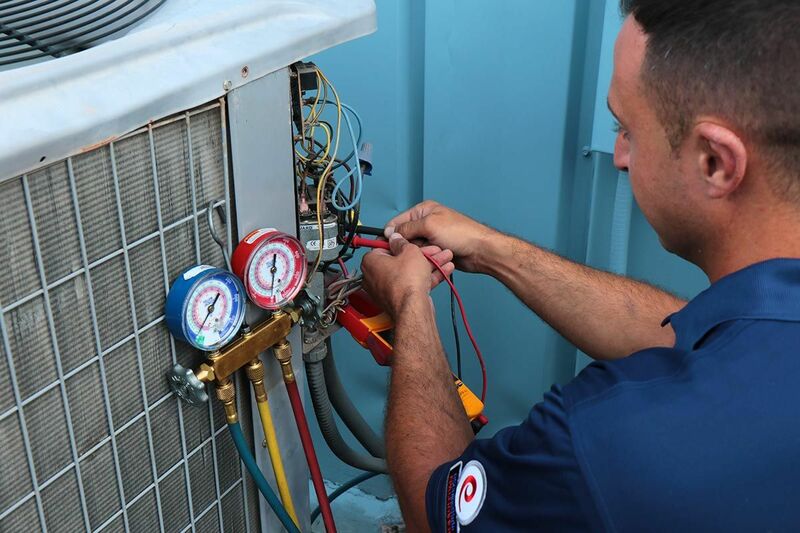 A maintenance plan or service agreement from Quality Air Conditioning Company is a sound investment for both business owners and homeowners in Wilton Manors. Minimize unexpected service costs and protect your investment in your home or business with one of our practical air conditioner maintenance plans. We have same-day service, as well as 24/7 emergency response to your air conditioner repair needs. Wilton Manors homeowners in neighborhoods like Coral Shores, Townhouse Isle, Manor Grove Village, and Jenada Isle count on Quality Air Conditioning Company to keep their houses comfortable with both air conditioner repair and maintenance. But even the best air conditioner has a limited useful life. If it’s mid-July in East Wilton Manors and the front porch of your home is significantly cooler than your living room, it may be time to consider air conditioner replacement. A trained technician from Quality Air Conditioning Company can assess your current air conditioner, conducting performance tests to evaluate how well it’s running. Air conditioner replacement may be a better option than spending money on ongoing repairs, if your current unit is on its last legs. Quality Air Conditioning Company is proud to serve Wilton Manors, a small town surrounded by Middle River and other waterways. Called “Colohatchee” early in the 20th century, Wilton Manors was given its current name in 1925, by land developer and Georgia native Ned Willingham. In support of the centrally located businesses on Wilton Drive, the City of Wilton Manors has recently been widening sidewalks, revamping bike lanes, improving parking, and reducing motor traffic as part of the Complete Streets project to build a more accessible community. Outdoor recreation facilities like Colohatchee Park and Mickel Field have also been renovated in the past few years. Wilton Manors offers its citizens a host of educational and entertainment programs, such as the Island City Book Club and access to online language-learning software, both sponsored by the town’s public library. The Island City Stage, the South Florida Symphony, and the Music at Mickel Concert Series bring live theater and music to Wilton Manors’ residents. To bring the best in air conditioner repair, replacement, maintenance, and other services right to your door, contact Quality Air Conditioning Company today. Dial 954-971-1000, 954-830-7828, or 800-649-5415 to be helped by a member of our attentive staff.